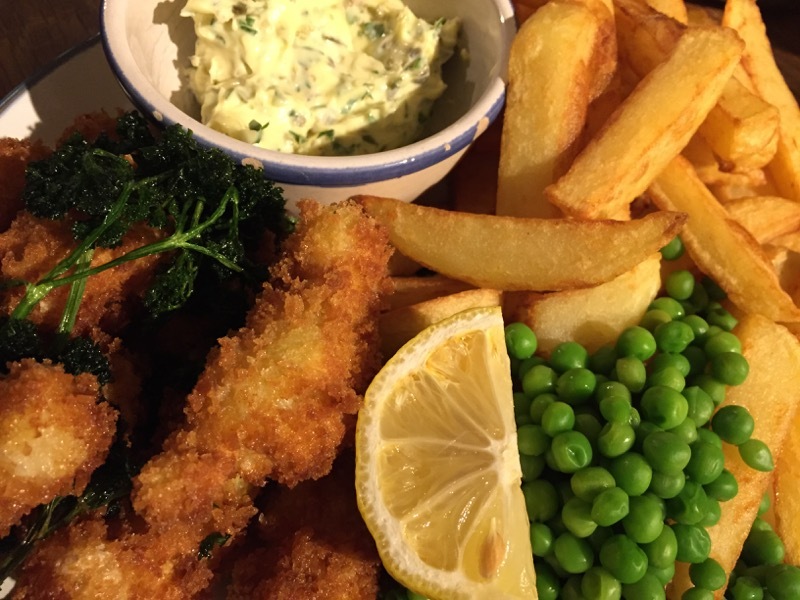 Breaded scampi, deep-fried, is a delicious thing. I buy it from time to time, and it makes for a quick, easy and tasty meal. I’ve never really thought about making it myself from scratch though. 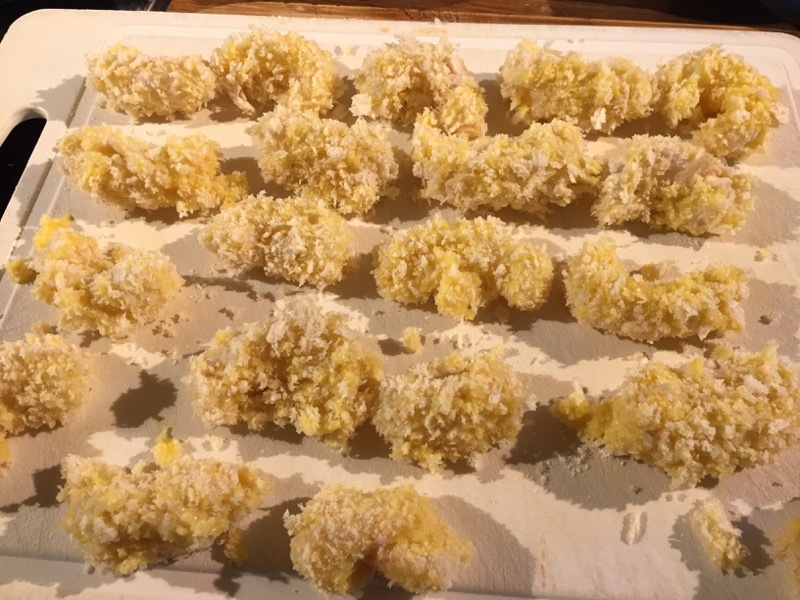 Of course, I’ve glanced at this recipe in The Prawn Cocktail Years many time, but I’ve never been tempted to try it – it always felt like it was going to be too hard. Well, no more procrastinating, time to get on with it. Now, first catch your scampi. 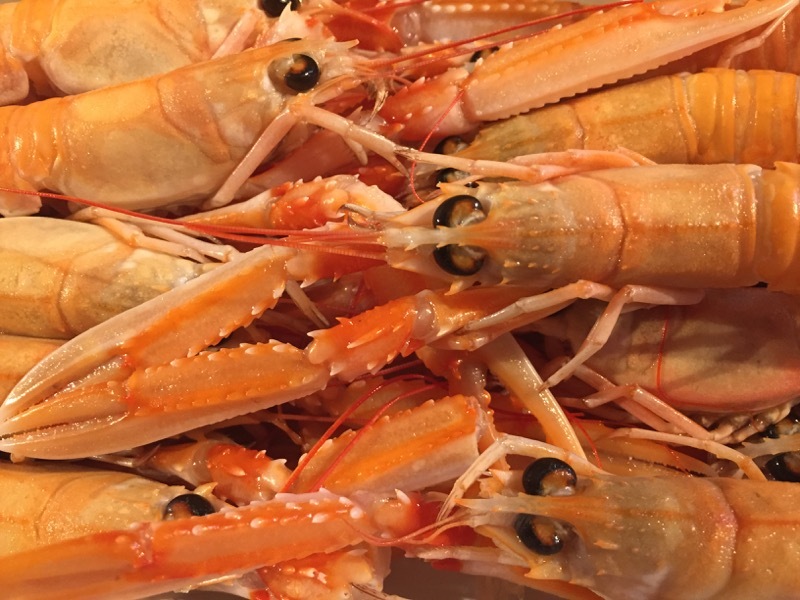 Scampi, also called langoustines or Dublin Bay prawns, are’t always easy to find in this rural backwater, far from the sea. I do, however, have the internet to fall back on. Wing of St Mawes, aka The Cornish Fishmonger sell whole raw langoustines. I order a box. First up, I make the tartare sauce. I’ve made tartare sauce many times, but I don’t think I’ve ever followed this particular recipe. Nonetheless, it all looks pretty familiar. It starts with mayonnaise. 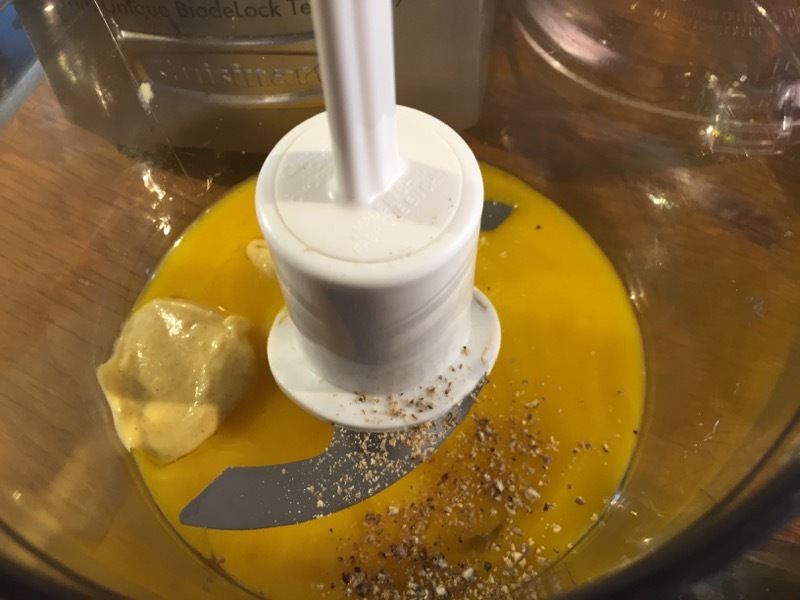 I put an egg yolk in the food processor, together with some mustard, salt and pepper, and blend dor a couple of seconds. 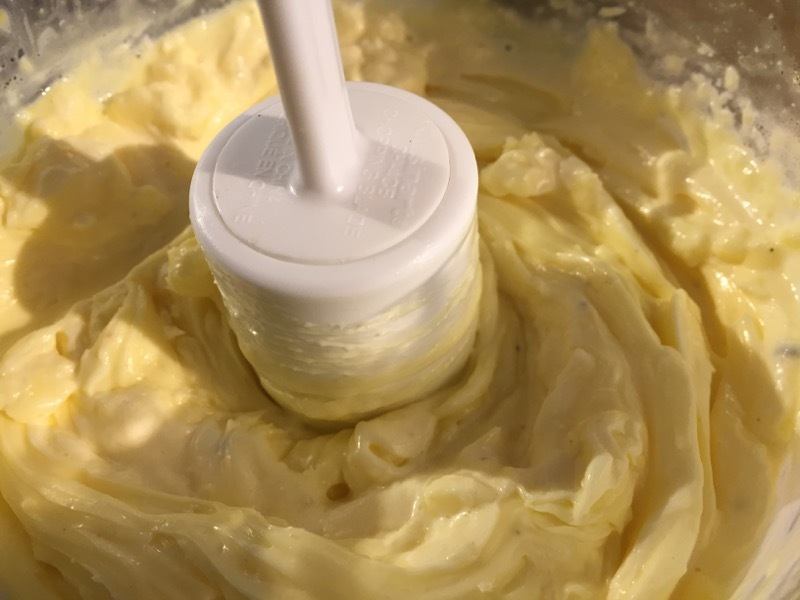 Then, I slowly add oil, together with a little lemon juice and vinegar, blending all the time, until I have a thick mayonnaise. 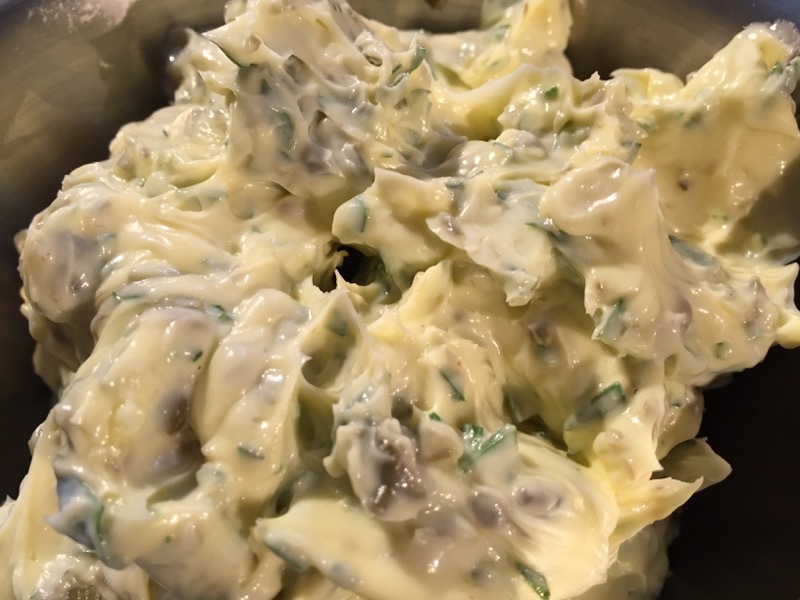 To turn it into tartare sauce, I add chopped gherkins, capers, tarragon and parsley, and mix well. Now for the scampi. First I have to remove the shells. 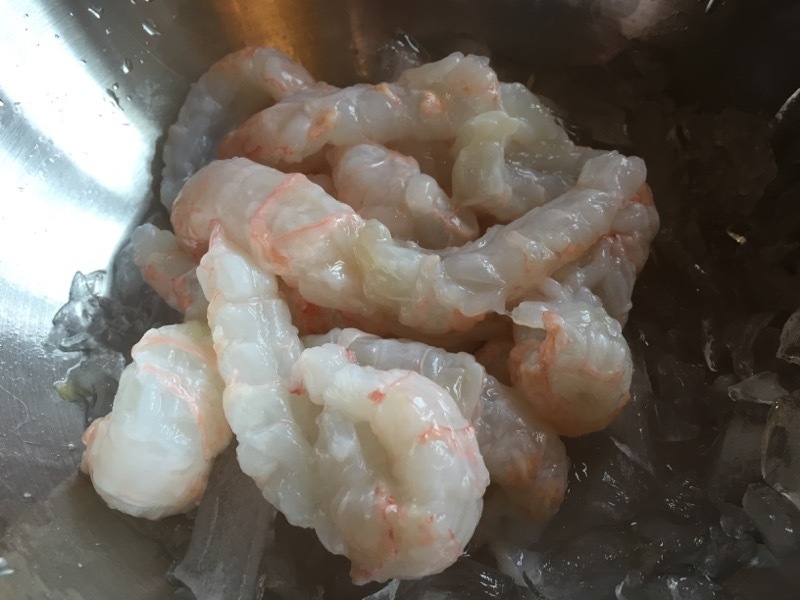 They’re tough little critters and they fight back – their hard spiny shells pierce my fingers and draw blood a couple of times – but eventually I have a small bowl of scampi tails. And boy do I mean small. That big box of langoustine has transformed into what appears to be a paltry amount of scampi tails – barely enough for a sandwich. Oh well, they’re all I’ve got; I have to go with it. 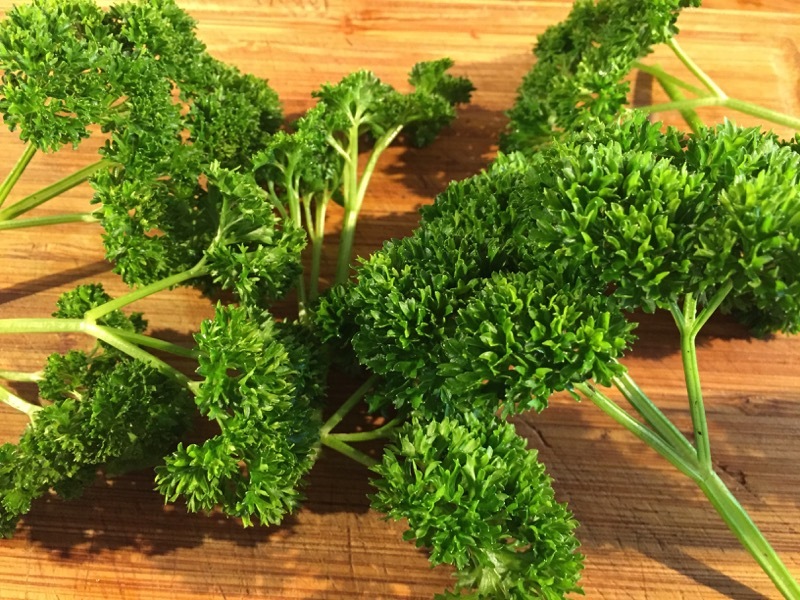 I nip outside and pick some parsley from the garden. Next, I wash and dry the scampi tails. Then dip them in flour, egg and then breadcrumbs. 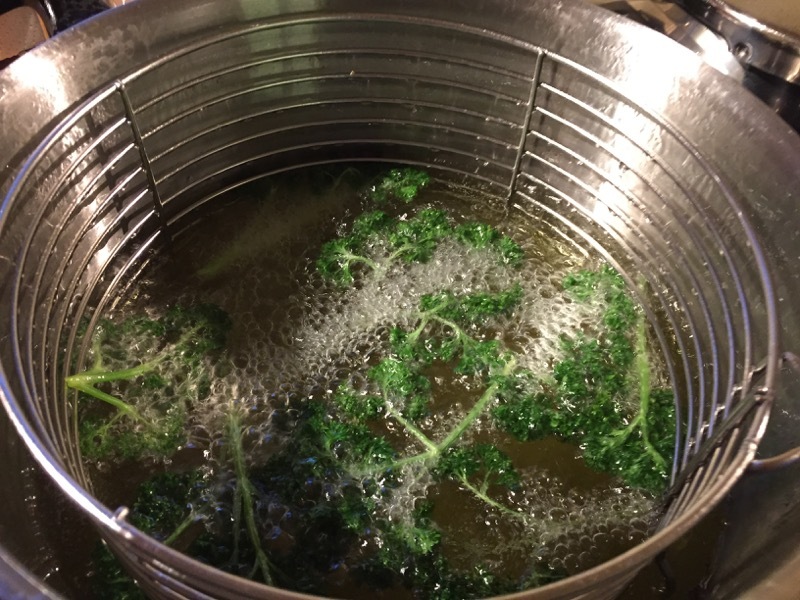 I heat some oil, and when hot, drop the parsley in and fry for a moment. The book warns “fierce spluttering will ensue.” They’re not kidding; there is spluttering a-plenty, and it is definitely fierce. Finally, the scampi. 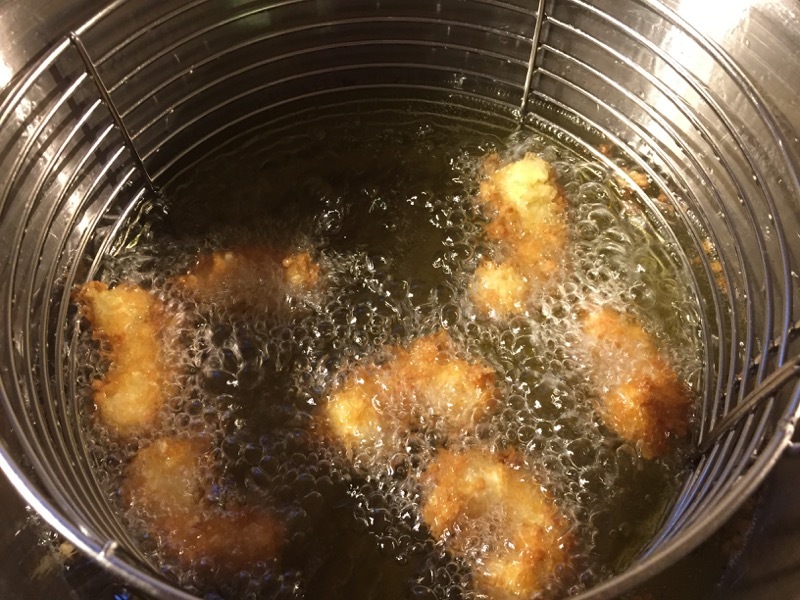 I fry them, in a couple of batches, for a few minutes. Once done, I take them out of the oil, drain them on kitchen paper. I serve them with chips, peas and a wedge of lemon, garnished with the fried parsley. The verdict: well, I think these are undoubtedly the finest scampi I’ve ever eaten. 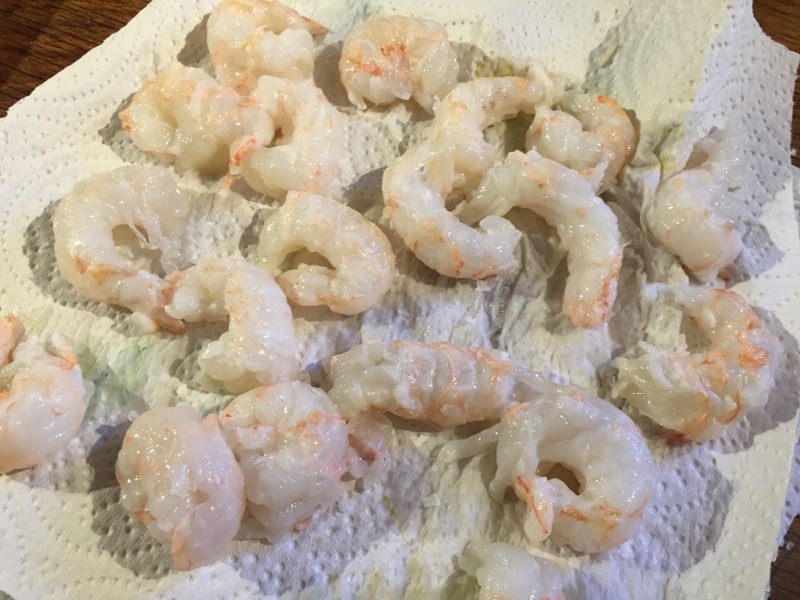 They’re a lot more faffle to prepare than the bags of Youngs Frozen Scampi from the supermarket, and considerably more expensive, but there is simply no comparison. They are excellent. The tartare sauce was very good, but the scampi was outstanding. And, I needn’t have worried about the quantity. It turns out that once breaded and fried, they bulk out nicely. We had plenty. Scampi and tartare sauce. I do love a scampi and chips meal now and then. But I’ve never had scampi that didn’t come frozen. Dave started with a box of beautiful langoustine. And the difference was amazing. They were juicy. They are full of flavour and they were delicious. At first we thought they hadn’t made many, I think we had 10 pieces each. But they were big enough to cut in half so we really did have plenty in the end. The tartare sauce was made from scratch too and it tasted different. It was much more substantial too and became a real part of the meal. I liked it. It was a good compliment to the scampi. Dave’s chips are always really good. And this was no exception. I just wish our quirky old cottage didn’t have secret passages direct from the cooker top to the bedroom. Whenever he cooks chips I can smell them in the bedroom for 24 hours! Scampi and tartare sauce was definitely a 10/10 meal.